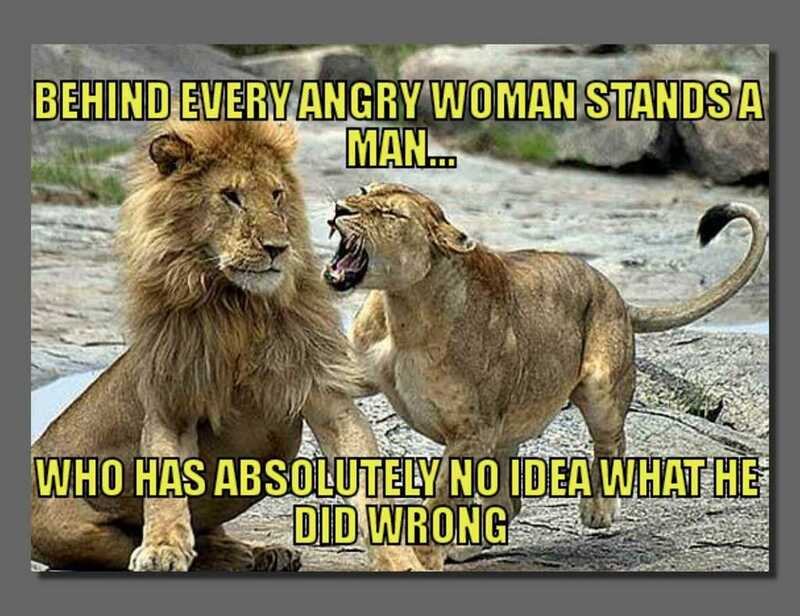 This is a quick meme generator android application. It barely takes 3-4 steps to create a perfect looking meme. 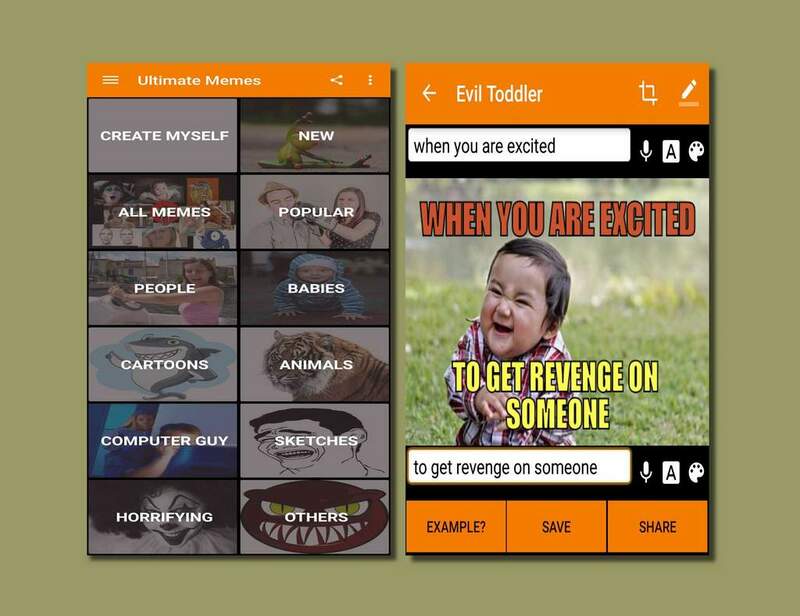 With many meme generator application out there, Ultimate Meme Generator is the most feature full meme creator app. 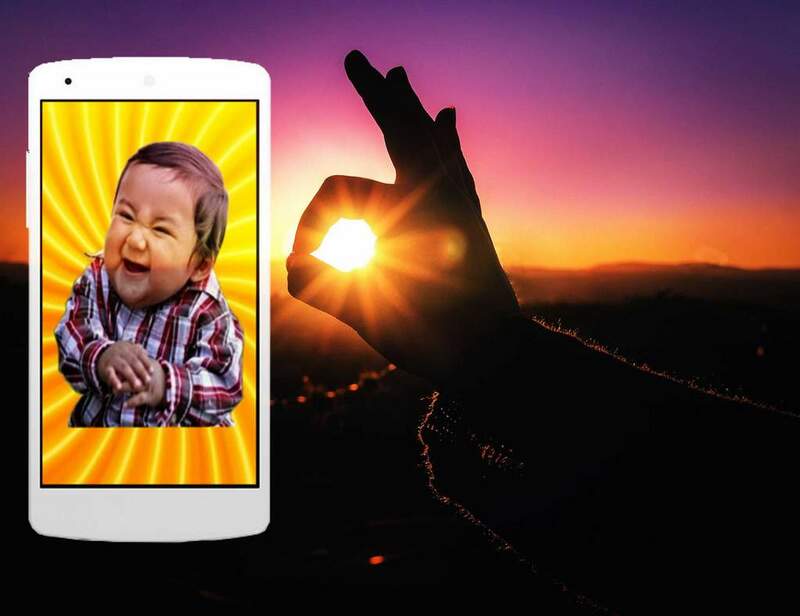 You will get all the photo editing and meme creating features in this android app. You will not have to go anywhere to find pictures to make meme of. 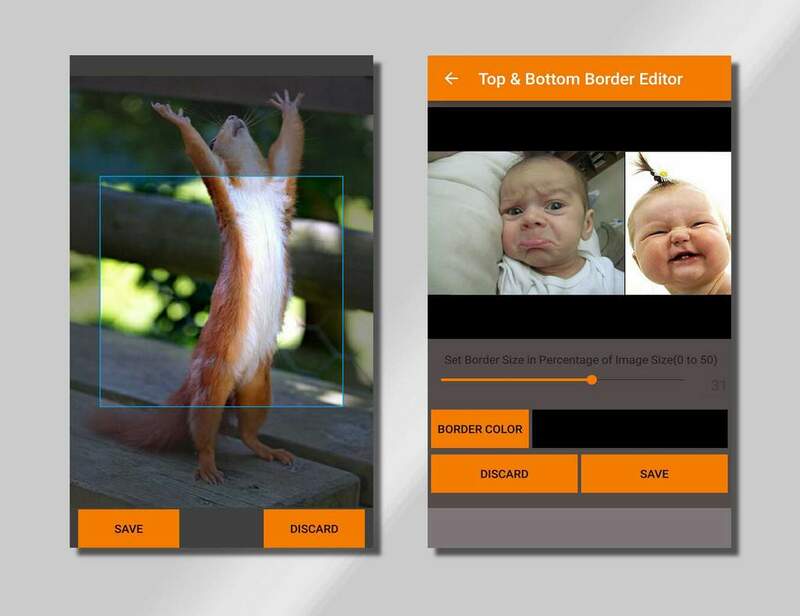 As more than 1000 popular meme templates are already provided with this app. Besides this if you want to use your own photo, you can use that too. Cropping function to cut any part of the picture. Add border of any color and size to picture. Over 3o fonts to choose for captioning memes. 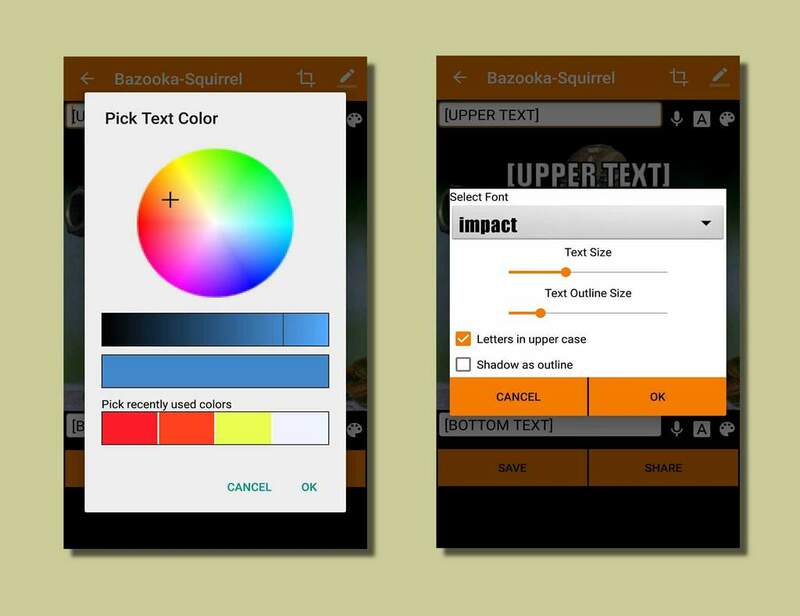 Choose any color for text. Outline the text with color or shadow. Save memes for future use. Share memes directly from app. 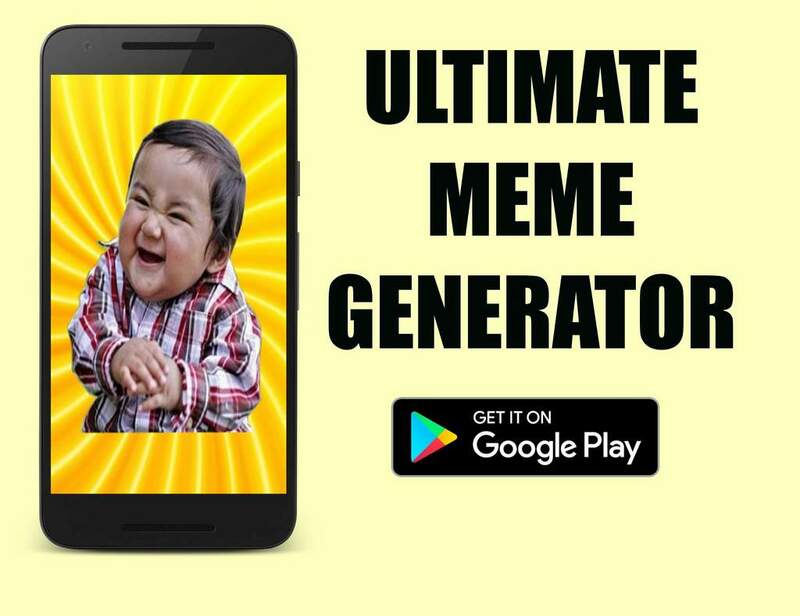 This completely free meme generator is available only on Google Play Store.